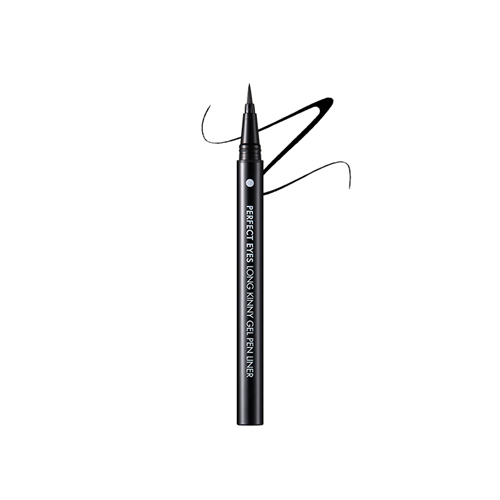 A liner completes black eye line with elastic brush, making eye darker, bigger and clearer. It helps the beginner to easily draw thick or thin eye lines without stimulating the eyes. Multi-Block Fitting Polymer forms thin film that prevent eye from water, sweat and other smudges. Lightly touch from front of eye to tail of eye.